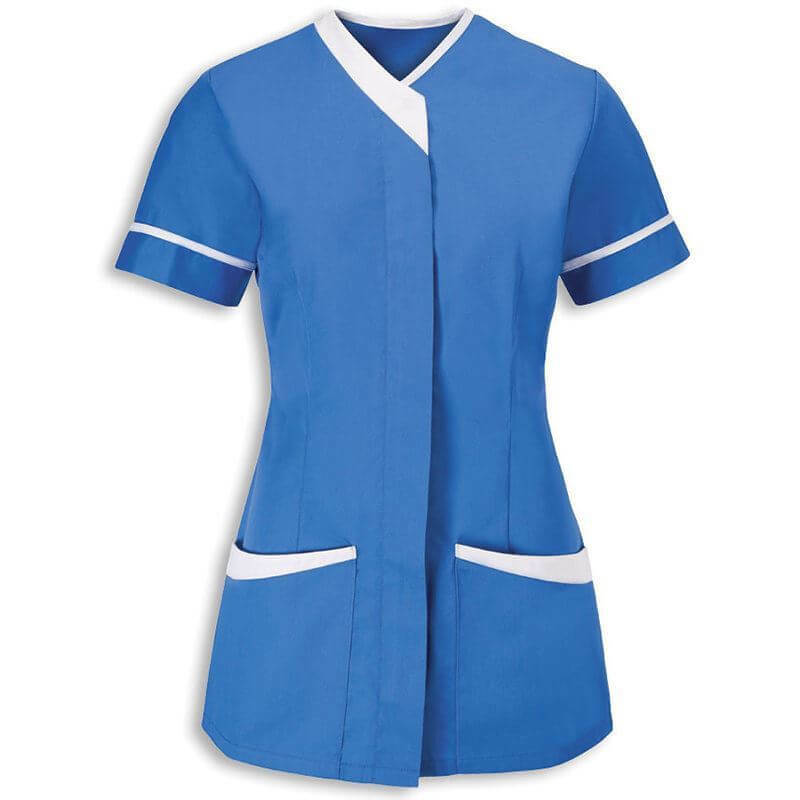 Healthcare tunics are a key item for anyone working in the healthcare sector. Coming into contact with patients, their families, and other professionals, a professional and calm look is a must at all times. We can supply a large range of healthcare uniforms, in a variety of colours and fit, ensuring that the needs of your staff are always met. Everyone working in the healthcare industry requires a uniform. It’s important that any healthcare uniforms worn by staff must allow them to maintain a smart appearance in the workplace. Healthcare workers will often be working with vulnerable members of the public, or at the very least, people in a vulnerable position if they are feeling ill or scared for example. Having a healthcare tunic that gives confidence that the worker is who they say they are, and knows what they’re doing is very important for putting people at ease. Our extensive range of healthcare clothing allows you to provide a uniform for your healthcare workers that gives this confidence to your customers. Whether you require a certain fit for different members of staff, or different roles, or you just have a certain colour in mind for your uniforms then we can provide exactly what you’re looking for. Similarly, if you would like to have your company branding on your healthcare tunics then our specialist in-house team can also take care of this for you. We would usually recommend our embroidery service for healthcare uniforms, as this offers both hygiene benefits and longevity. In some healthcare professions, care uniforms are important not just for the obvious smart appearance and authority of your staff members. Nurse tunics and dental uniforms for example are key pieces of clothing that keep nursing and dental staff protected from any unpleasant spillages that are part of parcel of their day to day job, and they could not be expected to subject their own clothes to. Nurses tunics and dental uniforms must be held to very high hygiene standards due to the nature of their work. The fabric of the uniforms, as well as the washing treatment they will withstand, is of utmost importance for maintaining these standards. Another benefit that these uniforms can offer is to act as an easy differentiator between different types of staff, and different seniority. 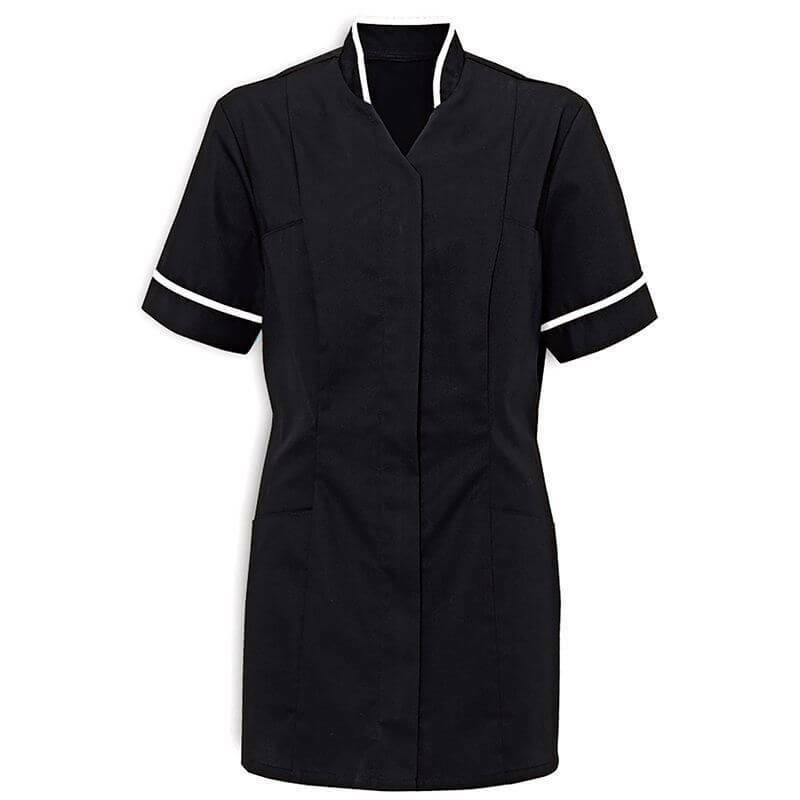 For example, a ward nurse and a surgical nurse would likely have different coloured nursing tunics so they were easily distinguishable to patients and other healthcare staff. Similarly, Ward Sisters for example would usually have a darker blue nurse tunic than their less senior colleagues. All of the options available within healthcare uniforms are designed with the benefits of staff, their colleagues, the public, and then naturally the employer as well. To see how Corprotex can help with your healthcare uniform requirements, just contact one of our friendly and knowledgeable team today on either sales@corprotex.co.uk or by phoning 0161 233 2226. We’d love to talk to you.